This performance art variety show, originally hosted by bearded street performer Matthew Silver, was one of the first shows in New York I saw that wasn’t a formal “theater” show, and it truly bewildered and impressed me. It was strange, daring, messy, stressful, loud, rule-breaking, sometimes all of those things, sometimes none of them. 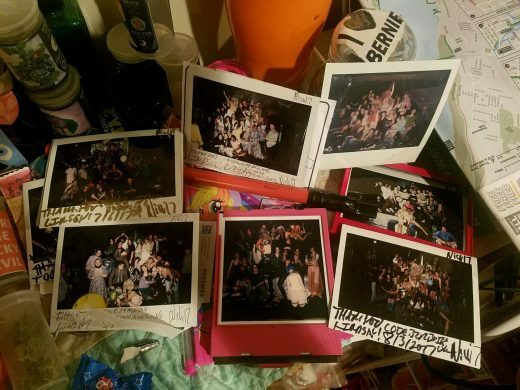 It made me realize that there was this whole community of performance I didn’t know about or thought wasn’t around anymore, and I found myself involved in the show first as friend of performers, then recurring door worker, then occasional performer. Since then, the host and producer has changed to show regular Lindsee Lonesome but the spirit has stayed the same. Tonight, after five years, Circus of Dreams will happen for the final time, and it truly feels like the end of an era. So, if you’re free, pop by Bizarre to see some of the show’s veterans and newbies alike take that scrappy stage for the last time. I’ll be at the door. Children’s theater often gets a bad rap. Which is fair; often it can be actually juvenile rather than just aimed at juveniles. 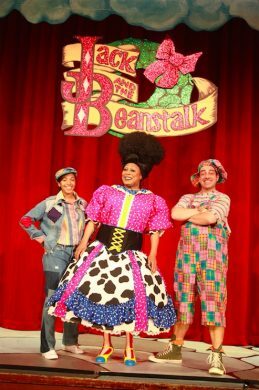 This production of Jack and the Beanstalk, that giant tale of plants and wishes, will more than likely change the minds of those who turn up their noses at family-friendly fare. Seeing as it’s written by disabled Coney Island sideshow regular (and American Horror Story actor) Mat Fraser, directed by his “burlesque royalty” wife Julie Atlas Muz, and stars a gaggle of downtown notables such as burlesque star Dirty Martini and a chorus of actual children, it should sound like a scrumptious offering for anyone of any age. And right now, the existence of a production, particularly one aimed at children, that prioritizes all bodies and “radical joy,” feels truly crucial. For those interested in old weirdo art movements or strange costumes, Bauhaus artist Oskar Schlemmer’s Triadic Ballet has probably floated onto your radar and captivated your attention. It did for visionary photographer Julie Orlick, who deals largely in old-school tintypes and mime and clown aesthetics. As a core member of the International Burning Circus, she has whipped up perhaps her most ambitious project yet in the form of Very Bauhaus, a 16mm film that is also a play that is also an interactive experience that is also a homage to Schlemmer’s Bauhaus creation, and is sure to be a visual treat. In addition to the main event, Kalan and LeLe will offer up some “ontological dream puppetry” and Gina Elizabeth Murdock will do a bit of miming. For those who can’t make it Friday, it will also be happening on Saturday night at The Spectrum. It’s always nice to support emerging artists (though the actual definition of “emerging” remains a bit of a mystery; when does one “emerge?”). You can do so on December 8 and 9 when the latest crop of artists from New York Live Arts’s Fresh Tracks residency show their new creations. Five dance and movement artists make up the lineup—Nora Alami, Brendan Drake, Lisa Fagan, Alethea Pace, and Jessie Young—with pieces exploring topics like camp and the American Musical Theater Songbook, the historic 1925 case of a mixed-race women accused a fraud, the endurance of human bodies, and experimental queer literature. A “Sunday Special” can mean a lot of things to a lot of people. For me, it sounds like some sort of breakfast combo you’d order at a diner, but that’s probably because I am currently hungry. 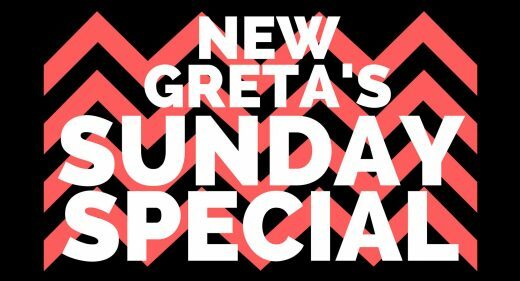 I don’t know if Legion Bar offers food or not, but come Sunday you can see improv team New Greta do their appropriately-named Sunday Special show there. After hearing tunes from a musical guest (this time it will be Alex Nader and Khalia Davis), some improv teams (Trash and Talking Breads) make stuff based on the songs they have heard. New Greta is formally the host of the whole shebang, but I can only assume they will be improv-ing their way through that as well. Though it’s a free show, the hosts encourage attendees make a donation to the Honduras Solidarity Network.